Enraged Pyramids FC owner Turki Al-Sheikh called on Egyptian President Abdel-Fattah El-Sisi to "find a solution" to what he called obstacles thrown in his way after his side salvaged a late 1-1 draw with promoted Gouna in the Premier League on Wednesday. 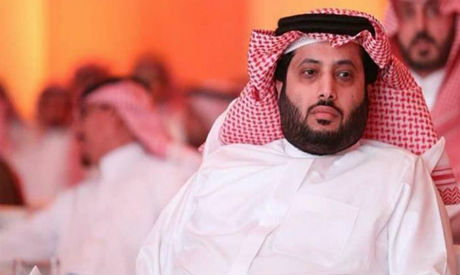 Al-Sheikh, the head of Saudi Arabia's General Sports Authority, believed his side were unfairly treated by the referee as they had two penalty claims waved away and a goal disallowed for offside. "I've had enough. I'm submitting a request to his Excellency, President Abdel-Fattah El-Sisi, to find a solution for the obstacles we are facing on the sporting and investment levels," Al-Sheikh told Pyramids' satellite channel in a phone interview. "We can't spend such vast amounts of money and then we see such referees … We want to deal with the Egyptian Football Association and we want to introduce VAR (Video Assistant Referee). "What's happening is unacceptable, will Ahly and Zamalek be happy to win the league this way?" he added, referring to the Cairo giants, who are perennial challengers for the coveted title. Al-Sheikh bought the club, formerly named Al-Assiouty Sport, in the summer and made some record signings, with the expensively-assembled team eager to cause an upset and dethrone Ahly, who are eyeing a fourth straight league triumph. In a post on his Facebook page, Al-Sheikh said Pyramids would withdraw from the league if they had their request to bring in foreign referees for their matches turned down by the Egyptian Football Association (EFA). Pyramids are on top of the table with 12 points, on level with El-Entag El-Harby. However, Ahly (11 points) and Zamalek (10 points) will leapfrog them if they win their matches in hand.